For 10 days this winter I based myself on Florida’s Nature Coast and traversed the waterways of the Crystal River region to find a manatee. Clad in neoprene, camera in hand, I’d float silently on the surface for hours at a time, waiting for one to happen my way. There’s no denying that the manatee is a curious looking creature. Taking in its gray and rotund appearance, you could be forgiven for thinking that it was aggressive and bad-tempered. Yet, if you’re fortunate enough to spend time in the water with these magnificent beasts, you’ll learn they are inquisitive, playful characters that relish human interaction. 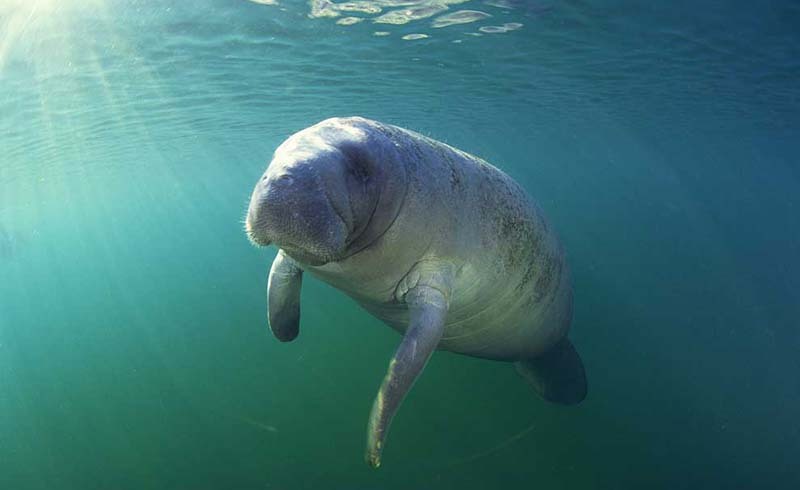 If you want to interact with marine mammals during your next eco-travel adventure, America’s manatee capital—Crystal River, Florida—should be on your bucket list—here’s why. Drive just 90 minutes north of Tampa or 90 minutes east of Orlando and you’ll find yourself in Crystal River. I flew into Orlando and then booked a rental car for the duration of my stay, as there are several nature reserves and points of interest worth seeing in the area. Although a vibrant Floridian town in its own right, it’s the endemic residents that pique the interest of most who visit. Tip: Book a long weekend break to swim with manatees and travel with expandable carry-on to minimize the cost of your flight. The best rooms in Crystal River for a manatee-focused visit are those that border the water’s edge so during my visit I stayed at The Plantation on Crystal River. A family-friendly option that is also ideal for couples and groups, the property borders the river, boasts its own restaurant, and offers private manatees tours to its guests. I loved hanging out at the poolside tiki bar and spotting manatees chilling out in the shallows of the river, and the sunset views were divine. Tip: Keep an eye on seasonal offers and book ahead of time to secure a riverfront room. By far the most popular activity in Crystal River is a manatee tour. Licensed operators offer half-day excursions during which you can spend time in the water with Florida’s loveable aquatic herbivores. Guided tours require all guests to watch and observe “Manatee Manners.” These are rules that protect the manatees that are in the water with you; for example you are advised not thrash and kick your arms or legs, touch the animals, or risk startling them with loud noises. Visit during the winter months when the cooler temperatures of the Gulf drive manatees to Crystal River in search of warm waters in which to relax—as many as 1000 manatees have been recorded in the region at this time. Tip: Pack a quick dry towel in a waterproof compression sac to keep it dry when on board the boat and protect your belongings after you’ve used it to dry off. During my 10-day stay I took to the water three times to meet manatees, twice in Crystal River and once in the Homosassa River. If you have the time I’d highly recommend visiting both, however there are countless other outdoor activities to keep you active during your stay. 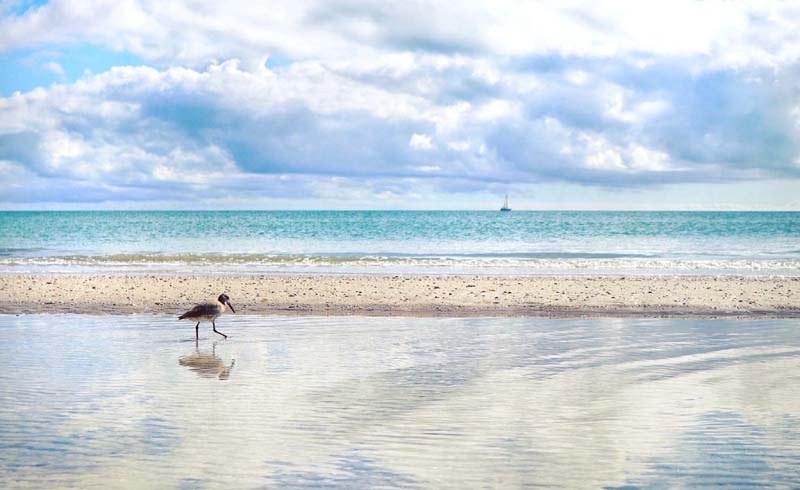 Surrounded by Florida’s Nature Coast you can kayak, cruise, or stand-up paddleboard your way along the shore; try scuba diving; or book a fishing charter. Those looking for land adventures can catch some rays on beautiful Fort Island Gulf Beach, play a round of golf, go hiking, or clip onto the zip lining trail that wends its way through the forest. Tip: If you’re planning to try more than one activity each day, keep your gear safe and secure in a versatile, waterproof utility pack that you can stow on a boat or carry on your back if required. Lucifer, or Lu as he is known, is the Crystal River resident hippo that you simply must meet. The only hippo in the world to be granted Floridian citizenship (yes you read that correctly), Lu lives in the Homosassa Springs Wildlife State Park, which is just a short drive from Crystal River. At the park, visitors can also enjoy the park’s underwater manatee viewing station, as well as the opportunity to visit a whole host of endemic Florida wildlife such as black bears, snakes, alligators, and crocodiles. Have you got plans to visit America’s manatee capital? Share your comments with us below.